The Homeschool Buyers Co-op is the world's largest buyers club for homeschooling families. Founded in 2005, we are family-owned and operated business dedicated to providing top-quality curriculum at the lowest price possible. Like you, we are homeschoolers with a love for family and a deep commitment to homeschooling. Like you, we made the profound and life-changing decision to assume full responsibility for our children's education. We understand the sacrifices and joy that this entails, and have decided to devote our energies and talents to helping other homeschooling families who have chosen to walk the same path. On this page you will learn why we started the Co-op, how we help you and other homeschoolers, what it costs to join (sneak peek: it's FREE! ), how we make our money, and why we hope you will join us. 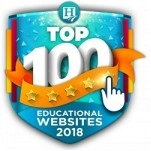 Whether or not you join, you are welcome to browse our site, return as often as you like, and take full advantage of our many wonderful homeschooling resources and services for homeschooling families! Why have a Homeschool Buyers Co-op? School districts get educational discounts -- why not homeschoolers? The reason is simple: school districts have purchasing power and homeschoolers don't because we buy homeschool curriculum as individuals. The Co-op changes that by combining the purchasing power of thousands of homeschooling families around the country to give homeschoolers the same purchasing clout as school districts. It is a simple proposition, and it works! 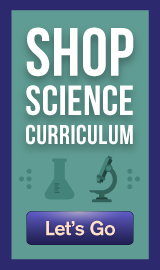 Just take a look at the many educational suppliers in the Index of GroupBuys section that offer homeschool resources and curriculum from 10% to 90% off their retail prices. Great Deals: We offer the best deal anywhere for the vast majority of the products we sell. Our philosophy is that, as a buyers club, if we can't get you a better deal than you can get on your own, then we don't offer the product. Great Products: We are very selective about what products we offer. We look for products that have strong, independent validation, and we pay particular attention to products that are requested by our members. We are not interested in offering every product under the sun -- we seek only the best. However, we realize that no product works equally well for everyone, so we strive to give members some choices. A vast database of homeschool field trips, many with reviews by homeschoolers, in our Field Trip Finder. A free Summer Fun Reading Program that encourages and rewards children for reading over the summer. The Internet's largest database of educational Contests & Scholarships available to homeschooled students. 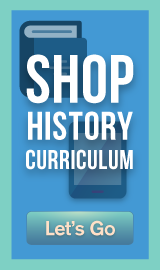 A free Homeschool Classifieds section where you sell and buy used homeschool curriculum. And more! Just look in the "Free Resources" section in the left margin of any page on our site. SmartPoints Rewards Program: We give you 100 SmartPoints when you join, provide ways for you to build up your balance (view a complete list), and give away lots of SmartPoints for free as part of various promotions we run. When you have enough SmartPoints, you can use them to buy many of the award-winning products in our catalog or in our SmartPoints Vendor Hall. Most people usually assume that, with all these great services, the Co-op must charge something to become a member? No! Co-op membership is ABSOLUTELY FREE! But don't we sell your information to other companies? We will never send you unsolicited emails. You have total control over your subscription on your My Profile page, available when you sign in. If you want to get our weekly GroupBuy Calendar, Newsletters or special offers, we will send you exactly what you ask for -- nothing more and nothing less. If you subscribe to our emails, each and every one we send will have an easy and convenient way to unsubscribe. Also, you can come back to our site at any time, sign in, and change any of your subscription options in My Profile. We will do our best to find the best deals for the best products for you. Yes, membership is free. And yes, we give you the best deal on the planet for the products in our catalog. And yes, we have lots of expenses to cover, including salaries, advertising, servers, software licenses, etc. So how do we pay for it all and still give you the best value anywhere for the products we bring you? We keep our expenses low. We have no office buildings or fancy equipment. All of our staff work out of their homes and communicate by phone, email, Skype, and through online conferences. We do not staff a call center, but we pride ourselves on providing fast, courteous email support, with priority to those who have billing issues. And, we don’t have a shipping facility – our suppliers drop ship your order for physical goods directly from their own warehouses. We charge service fees to help defray some of the direct costs of processing your order, such as credit card merchant charges and special setup costs. If we decide to bring their products to our membership, then the publishers not only give our members the best deal on the planet, but they pay us to advertise their offer to our membership and the wider homeschooling community. In some cases, that payment is a flat fee or a commission on sales. In other cases, they sell us the product at a wholesale price and we mark it up just enough to cover our expenses. But no matter how it happens, we always take care to ensure that our members get the best deal on the planet. But don't take our word for it -- do your homework! If we don't have the best deal, please Let us know. We can't monitor the entire Internet by ourselves!If we can't give you a better value, we'll send you to someone who can. Our strength is in our numbers. That's why your membership is so important! And we get stronger with every new member. The more members we have, the more willing publishers are to give us great deals. So please -- Join the Co-op NOW -- in the upper right corner of this page. Your membership, while free and respectful of your privacy, will benefit not only you but thousands of other homeschoolers around the world! Who knows? Joining the Co-op may be the single most important thing you do in support of your homeschooling experience. And it is certain to help not only you but homeschoolers everywhere, because our strength is in our numbers! Whether you choose to join us or not, if you are a homeschooler we invite you to browse the site. Feel free to return whenever you want and take advantage of our many homeschooling resources and services! You have nothing, NOTHING to lose by signing up! On your own terms, you'll be notified when special deals become available. The prices only go DOWN the more who join in on the purchases. This is a great idea whose time has come! I've joined. Please join, too, and help lower prices for all of us. I am loving your service! Thanks for doing so much legwork for us. There's no way we could come up with all of this good information, or the buying power, by ourselves. Our family is really looking forward to the GeeGuides art lessons we just purchased. I just joined the Co-op today and convinced at least 10 others to join in the few hours since! What a great idea! Thank you for implementing it!!! Yet another great discount!!! Thanks, Co-op! Thanks for all you are doing - I'll need to purchase Microsoft Office soon, and I'll be getting a HUGE discount through Academic Superstore. I'm very grateful for all the hard work! We will do what we can to promote this wonderful new work! Thanks for all you are doing - I'll need to purchase Microsoft Office soon, and I'll be getting a HUGE discount through Academic Superstore [a Co-op Supplier]. I'm very grateful for all the hard work! Thanks for the GREAT job y'all do. My son is taking Japanese (because he really wants to!!!!) from a "deal" we got on your site with Alpha-Omega. Keep up the good work! The dedication and creativity of the Co-op is just awesome! I really appreciate being a member and receiving valuable resources to broaden my child's homeschool experience. Thank you for your diligence and insight in making the Co-op a great resource for homeschoolers! THANKS for developing a program that searches the web for the coupons, etc. Great service you guys provide, I tell all my friends. This is a terrific website. Thank you for your insight! I used the Plow and Hearth Discount code on $90.00 order and received a $20.00 discount!! What a great way to start using the Homeschool Co-Op system!! I'm a big fan of your service and dedicated vision and wish you continued success! I'm grateful that your service filters out the junk products that offer little. BTW, the GeeGuides product is terrific and the discounted price made it possible. Thanks! THANK YOU so much for your help. I'm thankful to get such a great deal! My children love the guitars we purchased through the Co-op! We are happy members! I just joined the Co-op and I think it is a wonderful idea!!! I just wanted to let you know that we have just made a purchase with Apple for the new IMac. We wanted to thank you. We would have never known about the discount if we had not found this site. Our other friends that have been home schooling for years did not know either! We will pass on this site to all the HS families we know !!!! Thanks again!! !